Exceptional food begins with exceptional ingredients, and exceptional ingredients begins with exceptional farmers. At Chameleon, we think local first. That means our menu is inspired by the flavours around us with a focus on community building and development by supporting our local friends. Meet just a few of our extensive team of local suppliers that inspire our menu below. 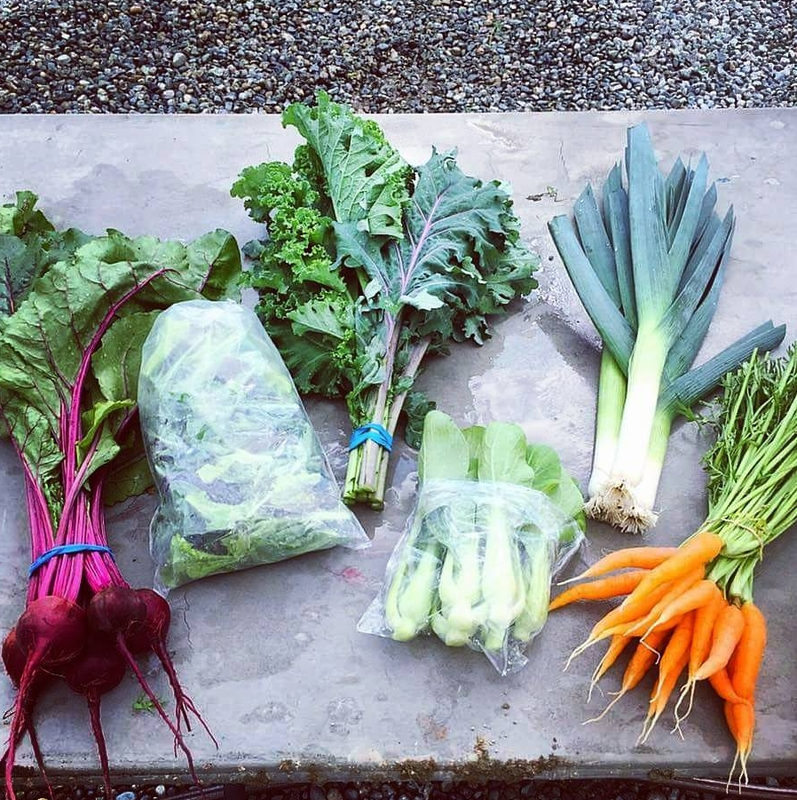 Owned by our own member of the kitchen, Andrew Hinton, Roos Roots Farm is a 2.5 acre organic farm located in Maple Ridge BC. Growing a large variety of seasonal vegetables, fruits and cut flowers. At Hopcott's Natural Beef, they grow high quality beef as nature intended, with an emphasis on natural grazing, environmental stewardship, and animal welfare. They do not use hormones, steroids, or antibiotics. They believe that healthy animals eating healthy feed will produce healthy, tasty meat. They also practice intensive pasturing. The cattle are moved often. This avoids damaging the grass through overgrazing, and ensures that the cattle always have plenty of fresh grass. Healthy Pastures, Happy Cows. It takes a little longer and costs a little more, but we think it is worth it. We hope you agree. Bruce's Market was opened on April 2, 1948 by Bruce and Elnora McEachern, and is still owned and operated by the McEachern family. They have been commercial fishermen for four generations and now operate a fleet of salmon gillnet boats, a processing plant, and our own smokehouses. Our seafood is delivered fresh daily and filleted by our team of Chefs.